I was looking for an idea for a costume that I hadn’t seen before. 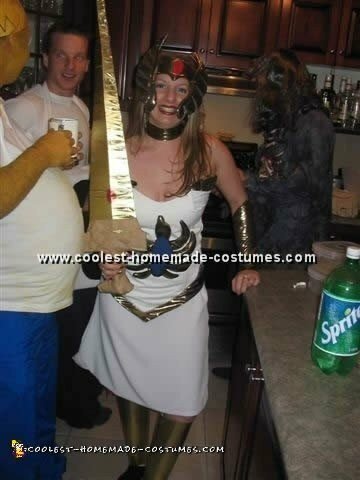 I was a big fan of She-Ra when I was growing up so I decided to go online and see if I could find a cartoon picture of her and make a costume. I bought a couple pieces of fabric and made everything including the sword. It took me about 2 weeks to finish. Everything is made out of gold lemay fabric, white polyester and red and blue polyester. It turned out great and everyone at the party knew who I was immediately without having to say She-Ra. Good luck with finding ideas to make your own costume!